There’s something about a starry night sky that elicits a sense of wonder and awe. Maybe it’s the magnitude of the universe, the glory of its vastness, or the realisation that all our problems, our worries, are as insignificant as a speck of dust in the face of things like infinite time and space. There aren’t too many spots to go star-gazing in KL, unless you’re willing to hike up a hill before dawn or head to an island where the sky remains unpolluted – but I found an experience close to it recently, at Sheraton Imperial Kuala Lumpur’s Find Your Lucky Star event. A beautiful universe of twinkling stars. Find Your Lucky Star is a pop-up restaurant available for a limited time only at Sheraton Imperial KL, until December 29, 2017.Bookings for lunch and dinner offer four-course and six-course menus, respectively, and the exclusive experience caters to just 12 guests at any given time. Designed by famed Singapore-based restaurant and interior designer Emma Maxwell (which we had the chance to meet and dine with – lovely person! 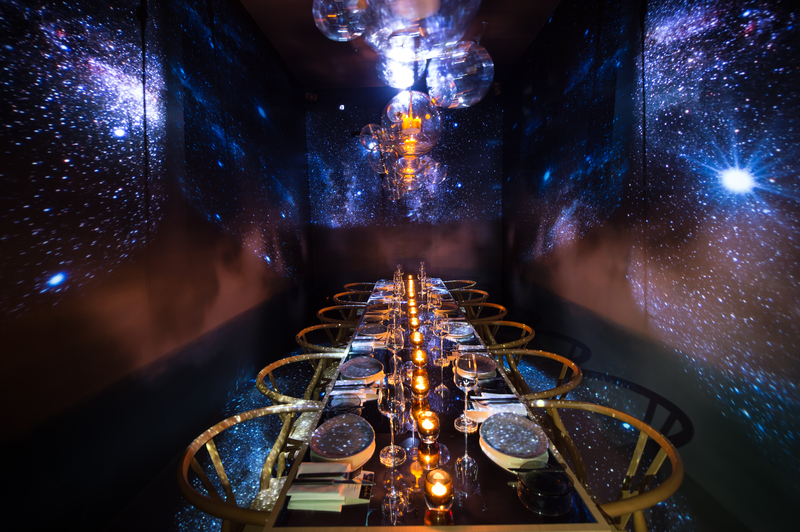 ), the ethereal space evokes otherworldly vibes with its cosmic light projections and warm, seductive yellow lights. 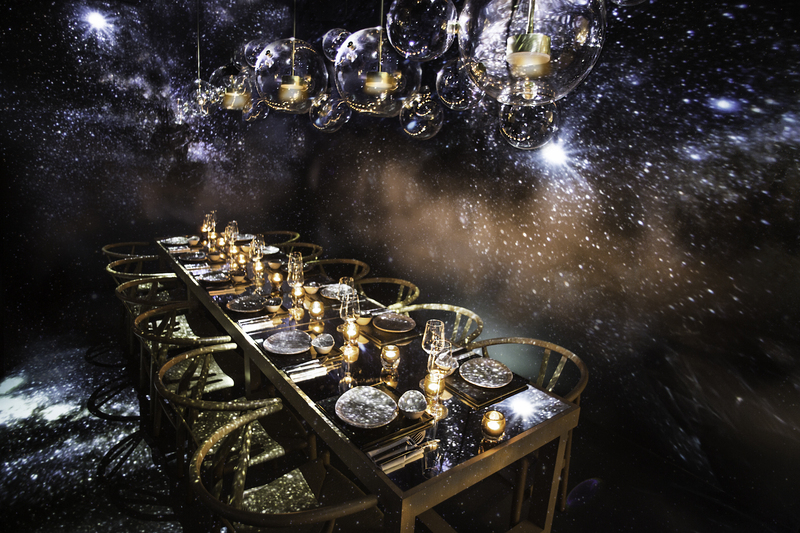 The glass table top, lamps and wine glasses threw further dancing beams across our plates and cutlery. 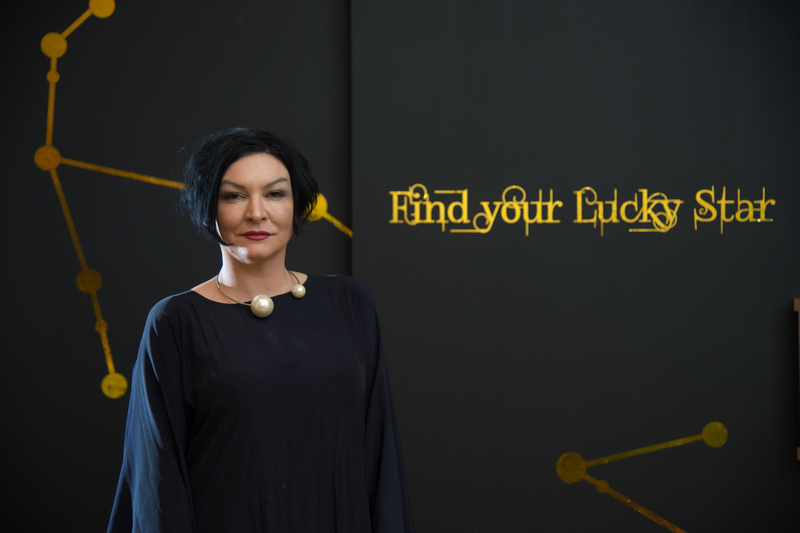 Emma, the creative force behind Find Your Lucky Star. 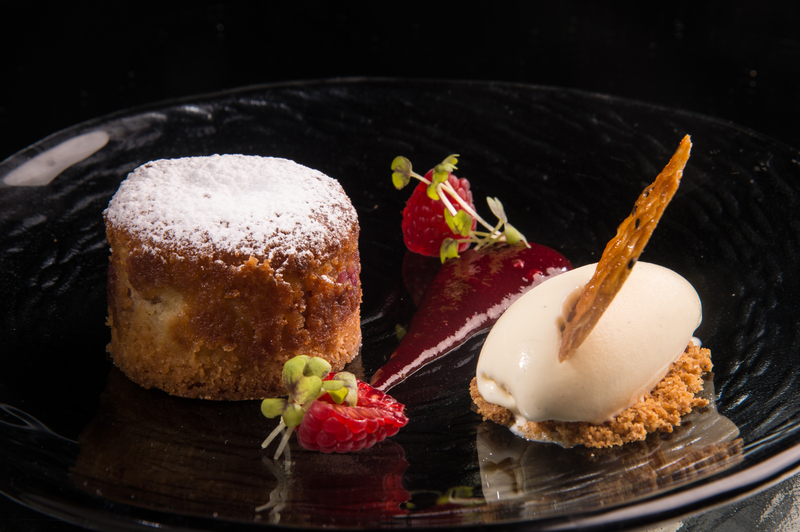 Her work is sought after by Michelin-starred restaurants all around the world. The walls seemed to melt away as we settled down for our first course, the air filled with a groovy, chill playlist. It felt like we were floating, suspended in the middle of a galaxy. 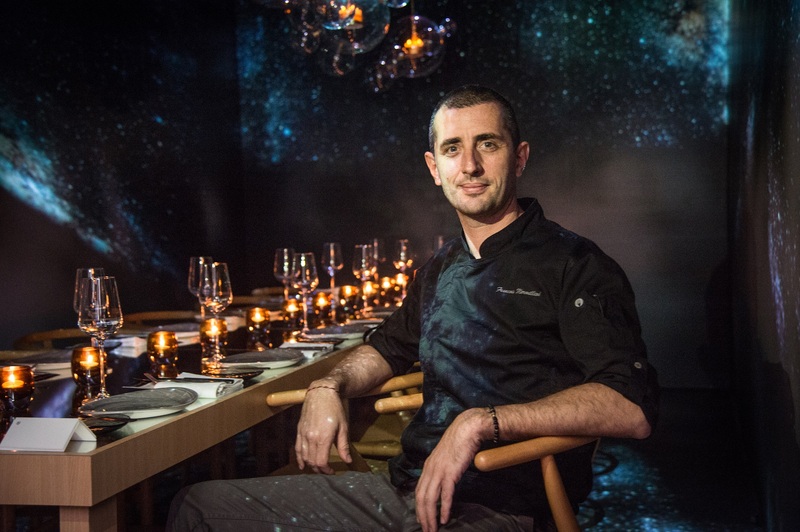 Dinner that night was prepared by Michelin-starred Chef Francois Mermilliod of famed French dining restaurant in Singapore, Bar-A-Thym. 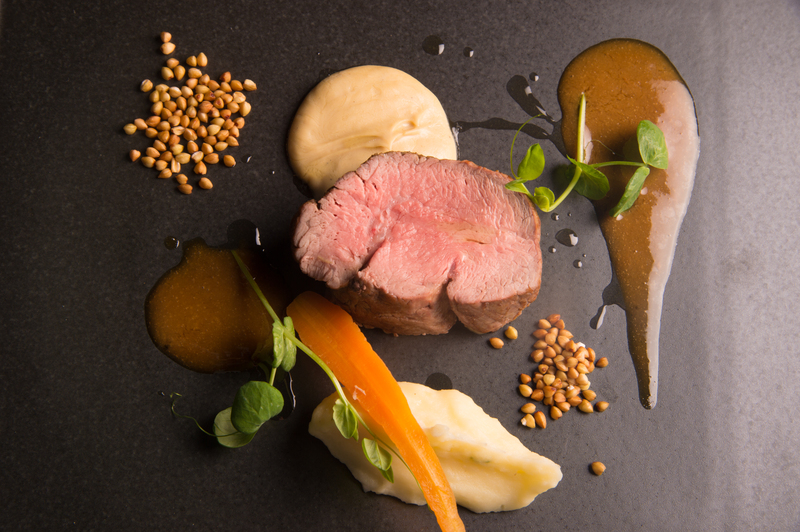 The finely crafted menu featured contemporary French dishes, with strong Mediterranean Italian influences and an Asian twist. Up first: A Ceviche of Yellow Fin Tuna. Topped with a thin, crisp block of seaweed and apple-fennel salad, the meaty tuna was drizzled in a tangy dressing that was light and refreshing – perfect to whet the appetite for heavier dishes to come. 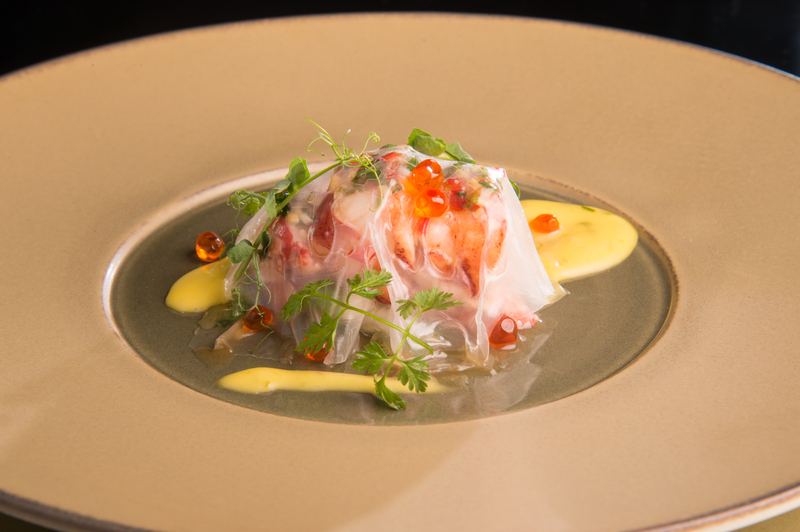 The Lobster Ravioli looked nothing like one: instead of the traditional parcel-like presentation, the version here was a thin, translucent sheet with a generous chunk of lobster underneath. A dash of tropical citrus, guava and lime Sabayon with Nahm Jim married savoury, sweet and tangy in an interesting mix of East-meets-West. Course 3 consisted of Seared Scampi with Angel-Hair Pasta, but we’ve come to expect a twist from the chef by now, that the dish is not as simple as its title proclaims. Sitting atop the scampi’s butterflied innards, a ball of al-dente pasta, crowned by creamy, umami Hokkaido sea urchin. The whole dish was a beautiful, buttery seafood fest of textures and flavours. 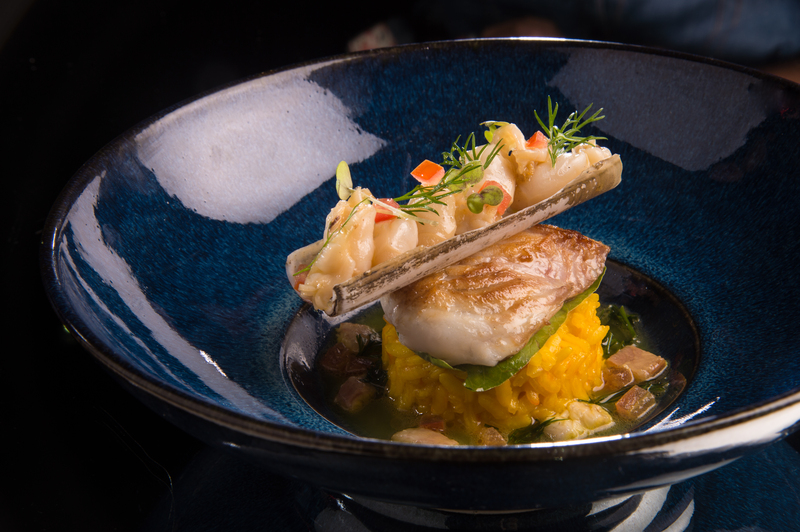 Fish has never been my favourite, but even I couldn’t resist the deliciousness that was the Wild-Caught New Zealand Grouper, resting atop an exquisitely flavourful saffron risotto. Smoked eel broth was poured over just before serving, still warm as we soaked it up with the meat. Filleted to perfection, the flaky fish was sweet and juicy, its flavours intermingling with the richness of saffron. Razor clams added texture, binding the entire dish together. Finally, my favourite dish of the night: Milk-Fed Veal Tenderloin. Even under the dim lights, the perfection of the slightly pink centre shone through, and slicing through the meat felt like cutting a knife through butter. Complementing the robust flavour and incredible tenderness was a foie gras foam and toasted buckwheat groats. To use the cliche phrase, it was ‘melt-in-the-mouth’ tender. 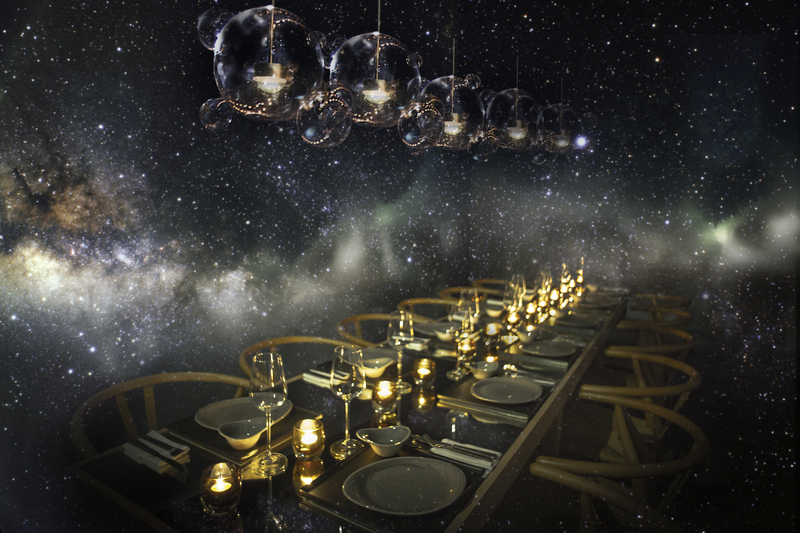 At this point, the lights and star projections intensified into a burst of shooting stars, signalling the final phases of our dinner. Dessert. The Warm Pear and Raspberries Bourdaloue was a fitting end to the meal, offering up a velvety scoop of sweet vanilla ice-cream to balance out the sour tang of berries. We wound up the night with some petit fours and coffee, before stumbling out of the box well-fed, all our senses thoroughly satisfied. 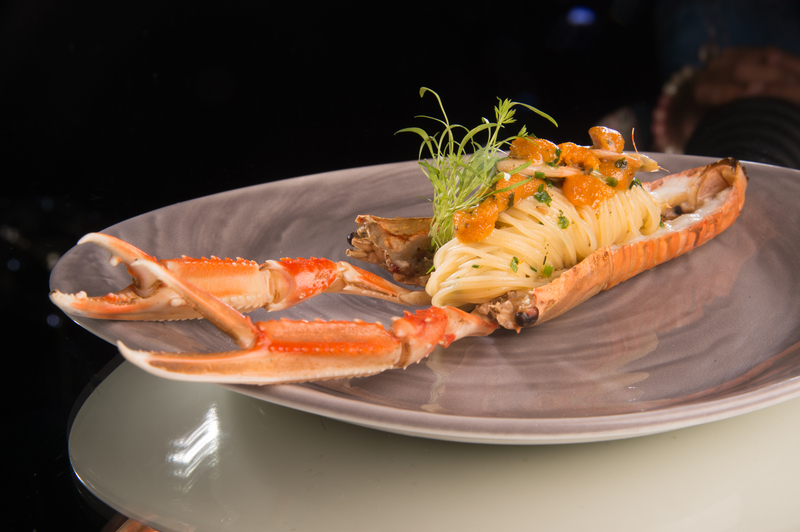 Guests can experience this magical dining experience from now til December 29 at Sheraton Imperial Kuala Lumpur, although the menu will be an Italian affair, as prepared by Chef Gaetano Di Stefano of Villa Danielli. Expect highlights such as baked turbot with braised Mediterranean vegetables, sea urchin foam and tomato vanilla sauce. 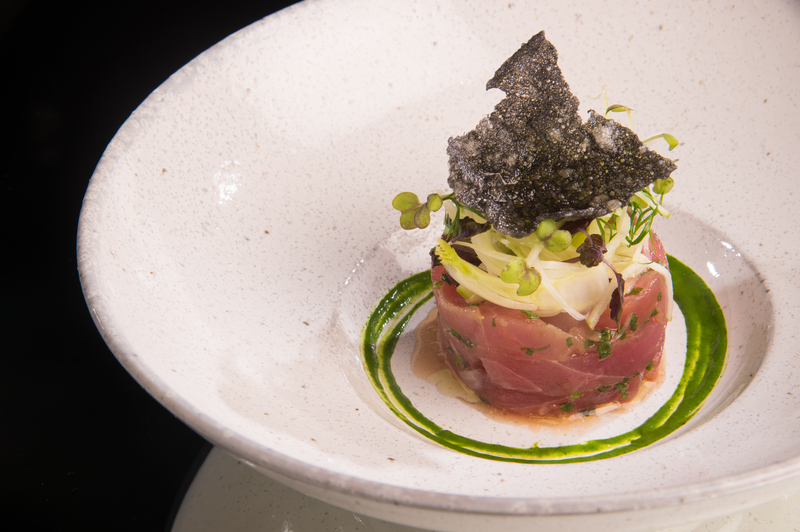 Find Your Lucky Star is available at RM238 nett for a four-course lunch with wine pairing and RM188 nett with mocktail. For dinner, it is Rm438 nett with wine pairing or RM388 nett with mocktail. For enquiries and bookings, call +603 2717 9027 or email luckystar@sheraton.com. *All photos courtesy of Sheraton Imperial Kuala Lumpur. Oh, forgot to put that in.. it’s 238 for lunch with wine and 438 for dinner with wine. 188 / 388 for lunch and dinner with mocktails.